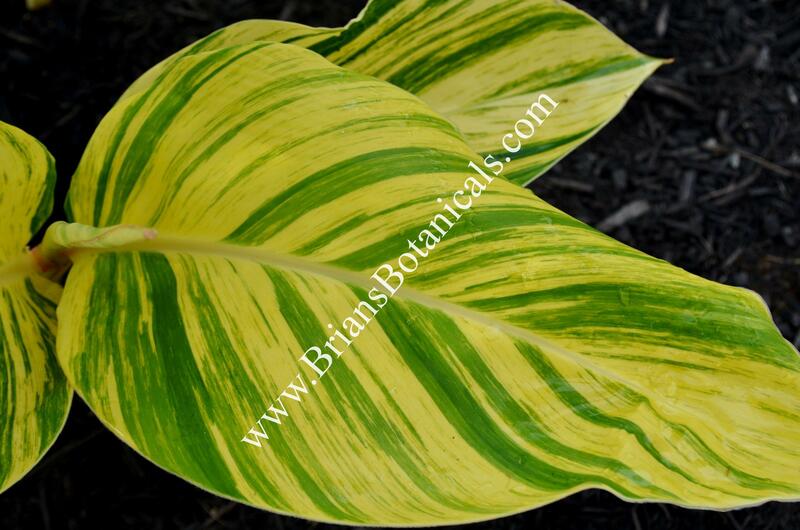 Alpinia zerumbet ‘Variegata’ a foliage plant with green and yellow variegated leaves. This ginger grows to 5 feet tall with clusters of white flowers. Great for use in larger containers or in landscapes. Usually used in group clusters or as a focal point in a container.